After the rather demanding riding and easy days up in the heart of the Dolomites, we took yet another easy day today and rolled through the mountain hills of Tyrol and the southern Dolomites to a small town called Padavena. Here we stayed in a small 2-3 bedroom B&B. It's the house in the picture below, just right of dead center in the picture below. So, not a lot of news to report from today. 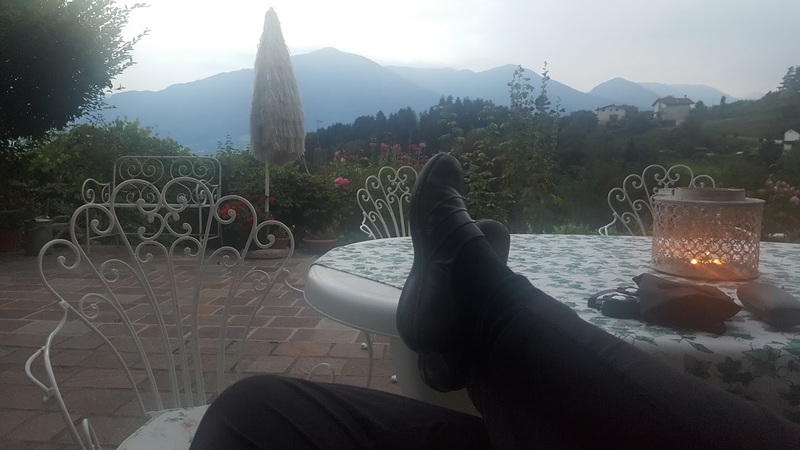 So, in the early afternoon, we did take a nice walk up the hill to the ever available "pizzaria", overlooking town, then back to the room for a nice afternoon nap. 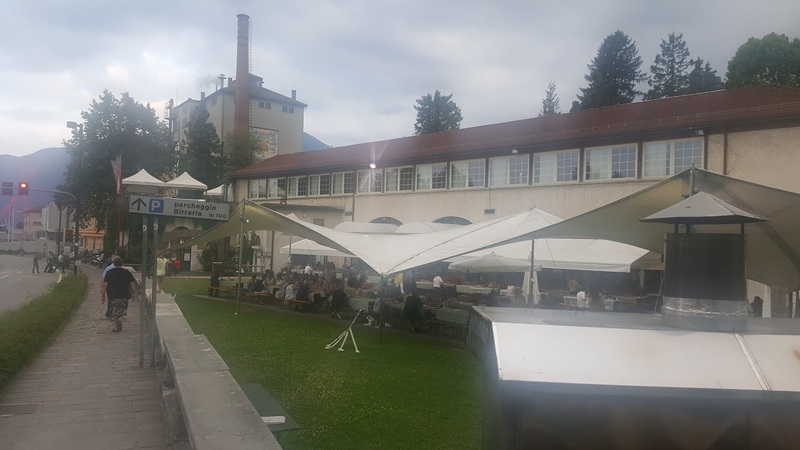 Later in the evening, we rode the boke down into town and found an old brewery, still in operation since the 1890s, but has been converted to a large open-air restaurant of sorts. The just served light food, appetizers and such, but its a great place to relax and just hang out with folks.